different sizes, the NORDMANN ES4 produces between 5 and 65 kg of steam per hour. The high-quality finish guarantees a long service life. A robust, hot-dip galvanized housing contains NORDMANN’s time-tested steam cylinders. 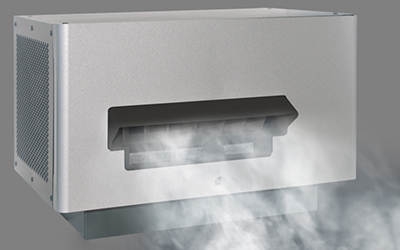 All in all, an affordable and highly reliable humidification solution. The front of the housing is removable, providing convenient access to all components. Installation and servicing work is quick and simple. 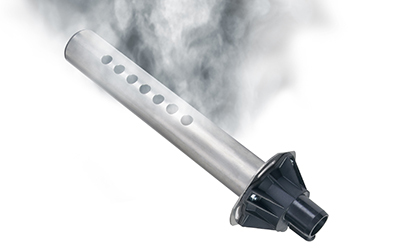 The central element in the ES4 air humidifier is the NORDMANN steam cylinder. In tandem with the electronically controlled water management system, the steam cylinder adapts perfectly to local water quality. 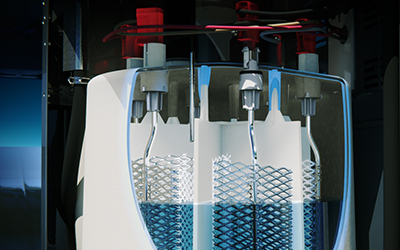 This guarantees safe, reliable operation while reducing water consumption to a minimum. 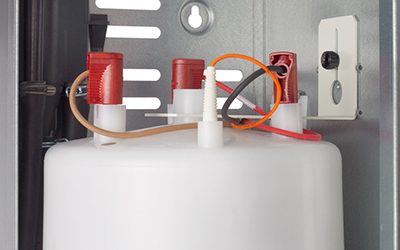 The cylinder can be changed in seconds and downtimes are kept as short as possible. For normal requirements NORDMANN supplies stainless-steel steam distributor pipes as standard. 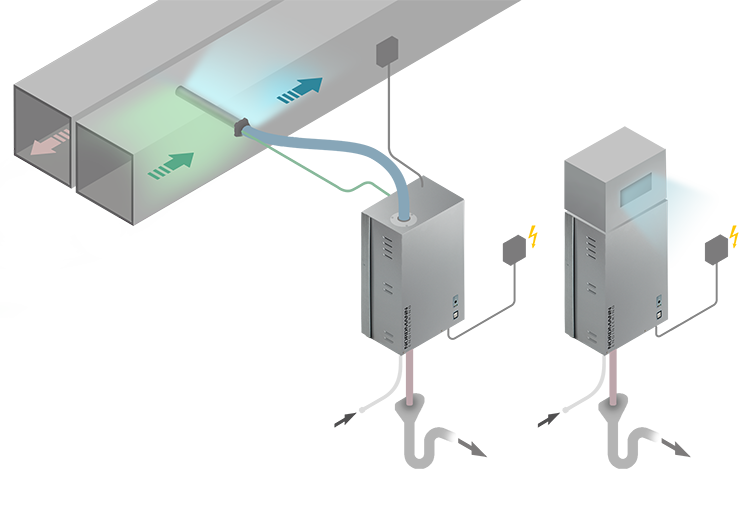 Where space is restricted the MultiPipe distribution system, which drastically reduces the distance travelled by the steam, is a practical alternative. 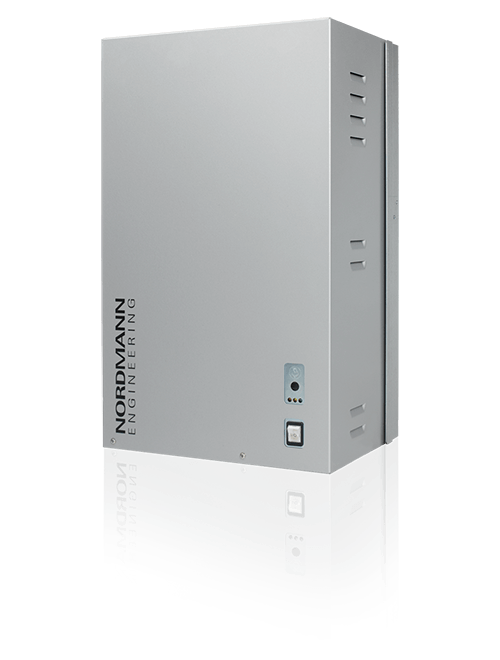 When direct room humidification is required, the NORDMANN Fan4 system is the ideal choice.